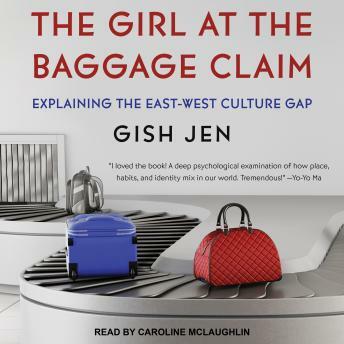 The Girl at the Baggage Claim is a provocative and important study of the different ideas Easterners and Westerners have about the self and society and what this means for current debates in art, education, geopolitics, and business. Never have East and West come as close as they are today, yet we are still baffled by one another. Is our mantra 'To thine own self be true?' Or do we believe we belong to something larger than ourselves-a family, a religion, a troop-that claims our first allegiance? Gish Jen-drawing on a treasure trove of stories and personal anecdotes, as well as cutting-edge research in cultural psychology-reveals how this difference shapes what we perceive and remember, what we say and do and make-how it shapes everything from our ideas about copying and talking in class to the difference between Apple and Alibaba. As engaging as it is illuminating, this is a book that stands to profoundly enrich our understanding of ourselves and of our world.